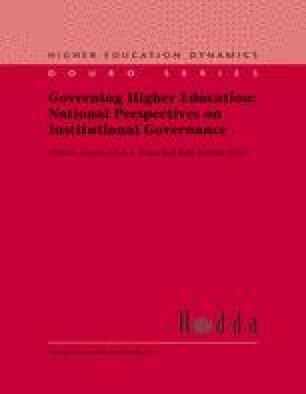 Over the last few decades, higher education institutions have been confronted with increasing outside pressures aimed at institutional change. The conceptual frameworks that are used to envision, and to a certain extent legitimise, change are increasingly influenced by organisational sciences and theories. In this type of approach, concepts such as ‘adaptiveness’, ‘environmental awareness’, ‘responsiveness’, etc., become central, both as analytical devices and as values to be pursued.